Joan Marie Comerford, age 85, passed away peacefully on Wednesday, Nov. 28 at Maplewood of Darien, after a long battle with cancer. 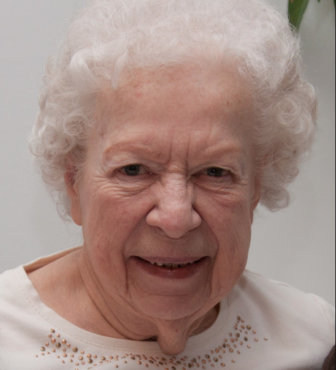 Joan Comerford, 85, passed away on Nov. 28. Calling hours will be on Monday, Dec. 3, and her funeral on Tuesday, Dec. 4. She was born on July 26, 1933 in Brooklyn, New York to Stanley and Stella Sokolowski of Ozone Park, Queens. After graduating from St. Joseph’s College for Women, in Brooklyn, New York in 1954, she was named a Fulbright Scholar and studied in Cologne, Germany from 1954-1955. She returned to the United States and began her career as a devoted history teacher at William Howard Taft High School in the Bronx. In 1973 she moved over to Harry Truman High School in the Bronx and remained there until her retirement in 1988. It was while pursuing her Master’s Degree from Fordham University (1959), that she met James (Jim) F. Comerford, who was also working towards his master’s degree. The two married on April 4, 1959 and established their home first in Harrison and then in Rye, New York before moving to Lakewood, New Jersey later in life to be near Jim’s family. Joan will be remembered for her devotion to her family, fierce independence, brilliant intellect and quick wit. She is survived by her devoted daughter, Catherine Mary; loving son-in-law Joseph Pedro; her beloved grandchildren, Morgan and Ryan and cherished nieces and nephews Michelle Marie Sokolowski and Nancy, Steven, and David Byrne. Joan was preceded in death by her husband, James (after 43 years of marriage), and her sister Ann Sokolowski. Calling hours will be from 4 to 8 p.m., Monday, Dec. 3 at the Edward Lawrence Funeral Home in Darien. The funeral will be held at 10 a.m., Tuesday, Dec. 4 at St. John’s Roman Catholic Church in Darien. In lieu of flowers, memorial donations may be made to St. Jude Children’s Research Hospital, P. O. Box 1000, Dept. 142, Memphis, TN 38148-0142 or a charity of your choice.